Niemiecki czołg średni z okresu II wojny światowej. Gruby pancerz i celne działo zdolne było przebić każdy czołg średni wroga. 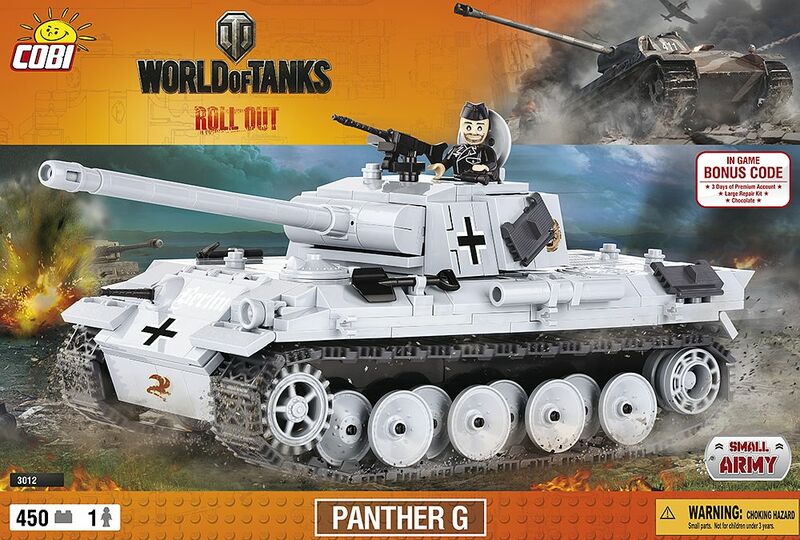 Dwa czołgi Panther były zdobyte podczas Powstania Warszawskiego. Jeden z nich został wcielony do służby w batalionie Zośka. I bought this kit and I will return it to the vendor, because the parts of the gun and the axis parts for the wheels have bad quality. The gun bends down after a short while, and the wheels fall off easily. I also think this kit needs a better design. 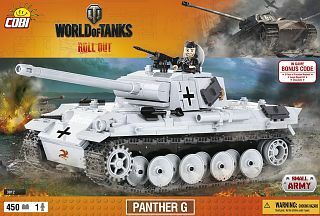 The angular Panther turret is not modeled very well, and the turret also is too small and too low for the hull when comparing with a real Panther. 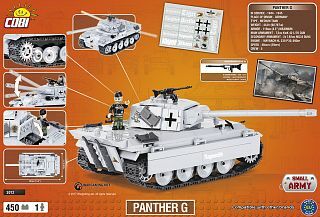 There are lots of custom made Panthers built with bricks from that Danish company where you can find pictures and building instructions for on the internet. Maybe you want to take a look at these. Please be assured that we keep working to make our products better and better to minimise any imperfection so that our customers are satisfied. I forgot to add that the tracks are also either too lose or too tight and don't work well either way. Sorry, but customized models are not the same fun as are complete COBI sets. I like the packaging, the playability, the nice thoroughly designed sets and also the fantastic figuers with the nice grinnings. All in all cobi is a top product that easily beats your 'danish company'. I also hope COBI one day will let us order single bricks so we can adjust models to our taste and try different solutions for ourself but I also hope the sets and products stay exactly as they are right now. I recently bought this model, and I am really enjoyed. But there is a missing part, the "comb with 3 teeth" allowing the opening of the cover of the engine. I am going to place an order for you at the f4u corsair (cobi 5523). Is it possible to attach this missing part to this order? We are sorry that there was a missing piece in your set. We'll send it to the address given asap but we'll send it independently from the plane you're going to order. Still, we hope you enjoy building the set. please help me or my model will stay incomplete also because this little piece as I know it's only available in this set. We are very sorry that there was any missing part in you set. We'll send you the spare part asap to the address given. 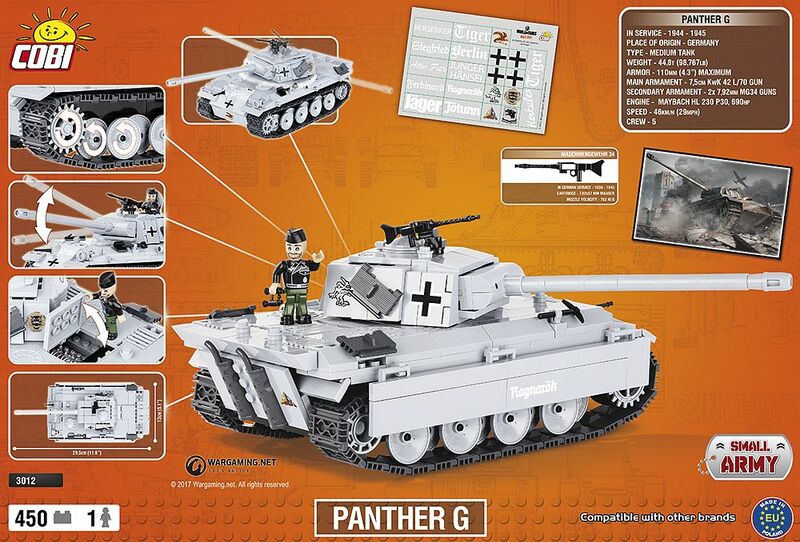 Nonetheless, we hope you do enjoy building the Panther. The detailed information and the parts missing were sent to you 27.07.2016. Thanks for contact COBI. Thank you for your opinion - we appreciate that. We're thinking of starting online sales with single bricks so please keep up to date - maybe in the future it will be launched.